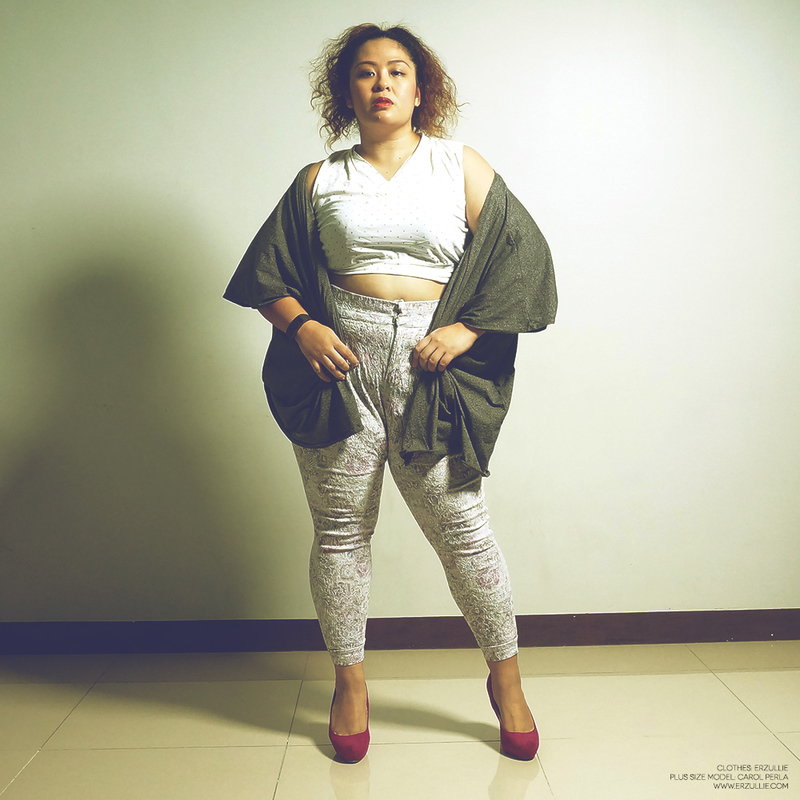 Erzullie Icon and Plus Size Model, Carol Perla, wears her Erzullie cropped top and girdle pants combination. She then used her gray cardigan to keep in curvy casual. Paired with purple heels and you know you got this outfit popping hard! Want this #OOTD? Sign up and get an invite below!